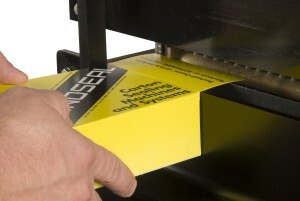 Simple and safe semi-automatic carton flap glue sealer that can be used to seal carton end flaps, hinge covers, side glue joints, gable tops, etc. Operator presents one end of a carton in position over the glue pot and starts the cycle via a foot pedal. 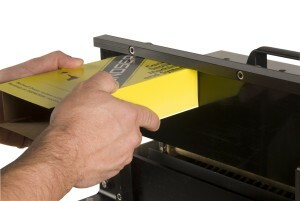 Carton is then manually lifted against a squaring device on the compression panel and hot melt seals the carton flaps. Operator loads product and repeats process on the other end of the carton.